We've booked our East Coast summer vacation tickets and now it's time to get to outfit planning, because that's what I do. We'll be spending some time on the beach and in overall humid, hot weather. I'm always loving florals for the warmer months. It's a basic flirty look that never goes out. Although the style of the floral pattern is what you can focus on trend-wise. Right now I'm all about the water colored look. Painted, whimsical flowers. Another look I am always into come the hotter months is the retro bathing suit. A higher waist, a daintier cut, a skirted one piece or a 50's halter neckline. I am not one for super skimpy bikinis. Right now I'm loving elegant, neutral colors or simple, geometric patterns in blacks and whites. When the weather gets warm, people generally jump for their shorts and skin bearing clothing items, in an attempt to cool off. But, truth be told, you'll stay far cooler in flowing linen pieces that cover your skin from the hot rays. 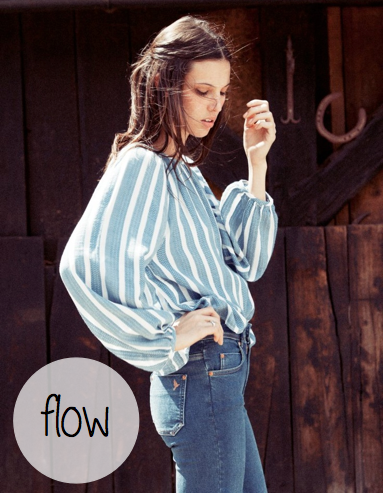 I'm coveting hippie chic 1970's inspired (or vintage 70's!) pieces to wear when I need a good cover up, or to pair with more fitted items. Currently I am loving embroidery and easy stripes on gauzy, linen-y fabrics. For added flare, neon is it. Refer to my most recent outfit post to see the flowing neon skirt I made, which I will be rocking a lot this summer. If you're not for going all out with a neon maxi, then try it in smaller doses, like a pair of shoes or sunglasses. Target had some cute neon yellow sandals a month or so ago, but I didn't snag them up fast enough. I love the look of a flirty cropped top and high waist bottoms (whether they are flowing skirts or vintage shorts). It's a way to show some skin but keep it classy/classic. Although these tops can be harder to find (if you're looking for classy cuts, rather than the Forever21, spaghetti strap, skimpy version), one thing to keep in mind is that they were a summer staple in the 50's and 60's, which means there are loads of very easy sewing patterns out there. I am currently in the process of making a few. Why do I love making my own cropped tops? Because I can select the fabric, instead of being a slave to what's out there (since good cropped tops are few and far between, you can't be picky when it comes to fabric). I can also play with details, like buttons, ribbon, making special edges, etc. Another thing I try to do is make a cropped top outfit, versus just collecting the tops. Why's this? Because a cropped top does not mix and match well with everything. So, to avoid those burdensome moments when you're trying to make an outfit around a midrif baring top, have a solid outfit already put together. Whether you purchase the bottom to go with it, or make it, try to have it arranged in advance and dedicated to that top only. What are some pieces or looks you are coveting for the summer months? Link up in the comments! Florals for summer? Revolutionary. Haha.